UNITED NATIONS, New York/PANAMA CITY, Panama – Health leaders from around the world convened at United Nations Headquarters, in New York, on Wednesday to highlight the need to ensure human rights are integrated into sexual and reproductive health care, including family planning. This means making sure care is non-discriminatory and aligned to the needs and desires of the community. UNFPA programmes in Latin America offered a key example of inclusive, accessible sexual and reproductive health care. By providing culturally sensitive services, including voluntary family planning, these programmes are improving both the quality of care and the health of communities. “We have seen in Latin America and the Caribbean how indigenous communities have been able to advance how health services are addressing the needs of women,” said Luis Mora, of UNFPA, at the panel discussion, which was part of the Commission on Population and Development. Access to reproductive health care – including family planning – is a human right. But the delivery of this care must also respect human rights standards, including the principle of non-discrimination, said Marleen Temmerman of the World Health Organization. To ensure health care is available to everyone, “the participation of communities is very important,” Dr. Temmerman noted. Yet many marginalized communities remain out of reach. These women are vulnerable to worse health outcomes, and their communities often see higher rates of preventable maternal deaths. 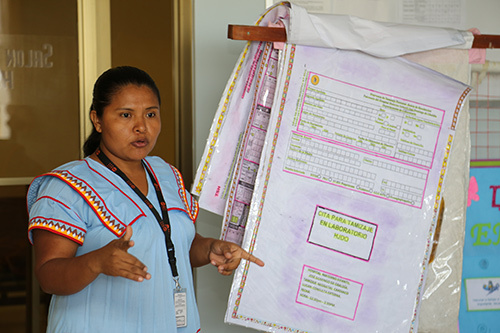 UNFPA-supported programmes in Bolivia, Ecuador, Panama and other countries in the region are leading the way, helping health services adapt to the needs of indigenous women and girls. These changes are increasing the numbers of women who receive proper care. In the Ngäbe Bugle region of Panama, indigenous women faced stiff cultural and communication barriers to sexual and reproductive health care. As a result, they faced high rates of maternal mortality. Several years ago, Eira Carrera, an indigenous woman from the area, approached UNFPA and offered to help. She had seen members of her community, and of her own family, die from causes related to pregnancy and childbirth, and was determined to bring about change. She received training from UNFPA and now serves as a translator and cultural liaison between indigenous women in the community and staff at the Jose Domingo De Obaldia Hospital in the city of David. Ms. Carrera also works closely with the hospital staff to provide culturally sensitive counselling on contraceptives, maternal health, breastfeeding and newborn health. Ngäbe Bugle women, who were initially hesitant to seek medical attention, now come to the hospital for regular appointments. They say they can better relay their symptoms to doctors and more easily understand the recommended treatments. They are also better able to make informed decisions, and they feel more at ease sharing intimate information with a member of their community, the women report. “The Ngäbe women want what’s best for their children – more education and better opportunities. 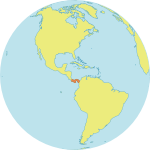 The information they get from Eira helps them make the right decisions for them and their families,” said Martha Icaza, a UNFPA maternal health and intercultural expert in Panama.